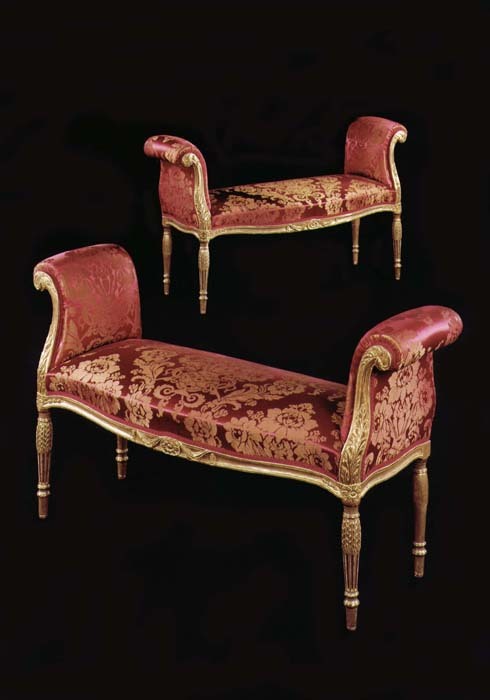 The very fine quality PAIR of English George III period carved wood and gilded window seats, each with scrolled ends on acanthus-scrolled supports, the serpentine front rails being decorated with a central carved rosette, the rosette being adorned with carved classical swags, the window seats being supported on turned, tapering legs, the front legs being headed with rosette-capped water-leaf carvings, each window seat being inscribed in ink to the inside of the back seat rails ‘HORNBY 5715’. 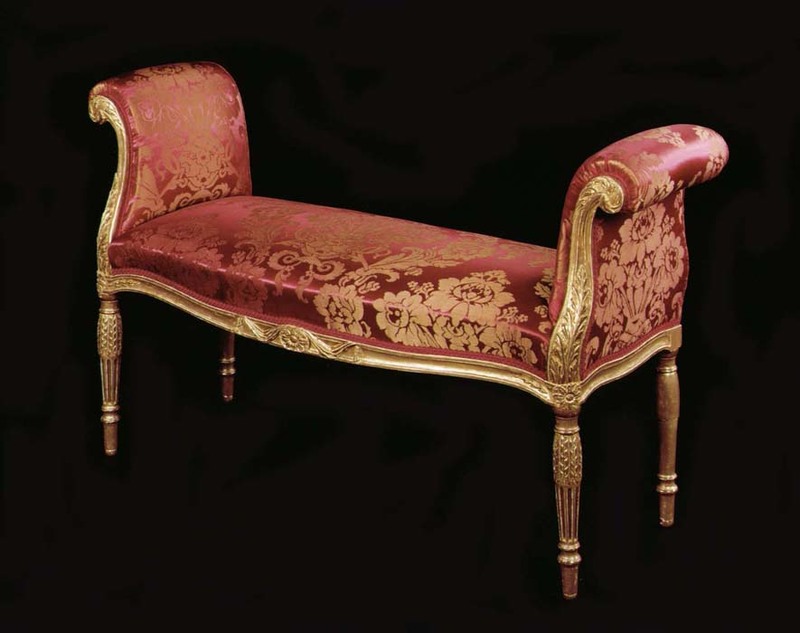 The design of these benches is in the ‘French’ manner as favoured by the English towards the end of the 18th century. 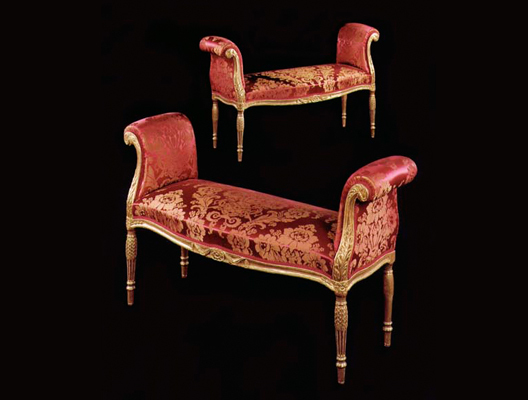 There is great similarity between these seats and drawings published by A. Hepplewhite and Co. in The Cabinet-Maker and Upholsterer’s Guide where, in a design dated 1787, they are described as ‘Window Stools’. 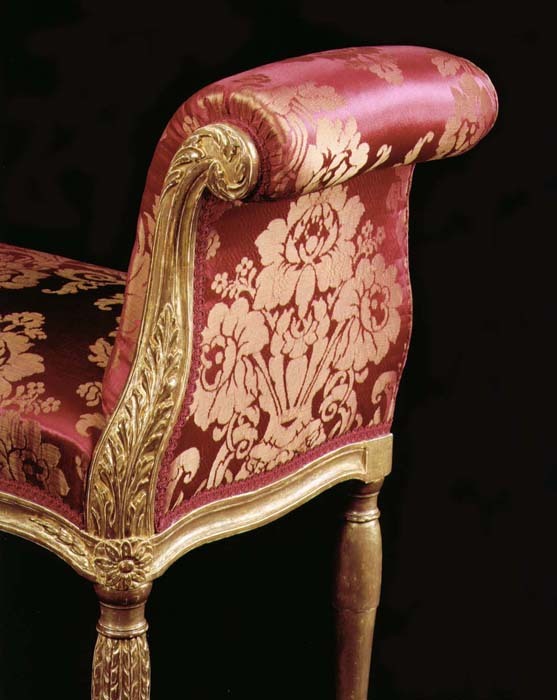 In the great saloons and drawing rooms of houses built or finished during the second half of the eighteenth century, a formal and stately effect was obtained by long stools ranged against the walls, while in deep window recesses others, often with curved ends, were placed.